The Burgess 1443 is manufactured by The Fountainhead Group, Inc. Their three main concerns are craftsmanship, innovation and commitment, therefore in their designs they try to incorporate all these things, aiming for the best products that customer can buy. They have 125 years of experience in creating superior liquid applicator solutions, while staying true to their family oriented company mentality and U.S. based production values, and this Burgess fogger is one of their best products. Foggers by themselves are one of the best way to get rid of mosquitoes, but this Burgess insect fogger in particular is efficient and long lasting solution for your insect problem with affordable price and great craftsmanship quality. Mosquito foggers are one of the most effective mosquito control methods that will help to reduce the population of mosquitoes and other flying insects, making the outdoors time much more pleasant and also highly reducing a chance of getting one of mosquito-borne diseases such as the Zika virus. The fogger must be ignited up manually, by using a lighter. While there are other foggers on the market with built in igniter, lack of this feature should not be regarded as a significant drawback. After the Burgess mosquito fogger has been ignited and has warmed up for a couple of minutes, it will start producing fog that will reach 10 feet of height. This thick fog, created by the Burgess propane fogger, will be able to penetrate all bushes, tree foliage and grass as well as get into any cracks and corners your designated area might have to eliminate all mosquitoes and other flying insects. Afterwards, within 5-10 minutes the fog will settle and you can enjoy your outdoors space without mosquitoes for 6 and more hours, depending on the area, weather conditions and type of insects present at the area. But for even more long lasting effect you can repeat the process of fogging and that will give you not only hours of mosquito free time but days without mosquitoes. 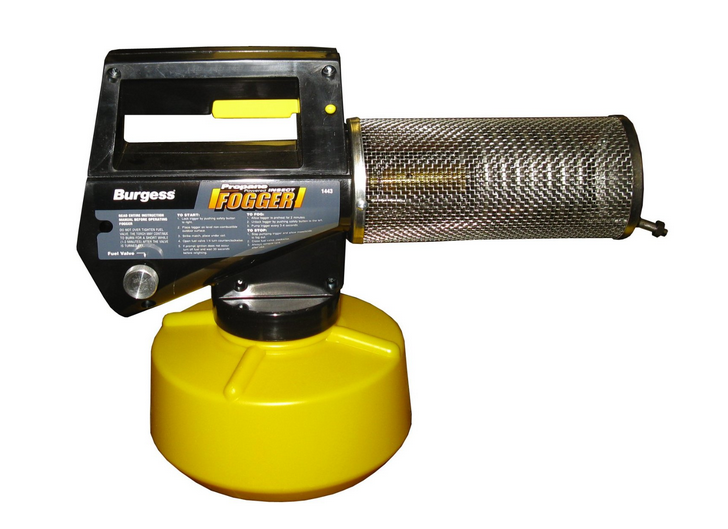 Burgess 1443 is a thermal fogger powered with propane gas which means that you will need to purchase a separate propane cylinder to use the tool. Both, the taller and thinner 14.1 oz or shorter and wider 16.4 oz standard propane cylinders will fit into the fogger. Because this is a propane fogger, it is also portable, there aren’t any electric cables that would limit the usage of the fogger, so once you have filled up the reservoir with a proper insecticides solution and installed a propane cylinder, you can use the tool practically anywhere outdoors (as this is a thermal fogger it mustn’t be used indoors because of the safety concerns). 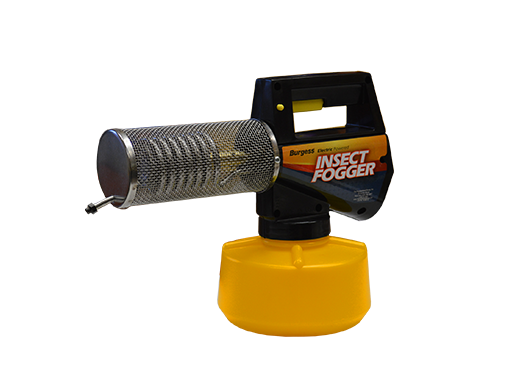 The liquid tank of this fogger can hold up to 40 ounces of insecticide and will allow you to fog for about 2 and a half hours straight, and only afterwards you will need to refill the liquid container of your Burgess mosquito fogger. 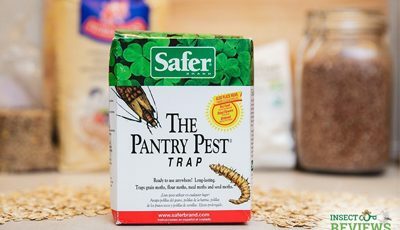 The trigger lock of the device will ensure safety for you and those around you, because it won’t allow any accidental dispersing of the insecticide. 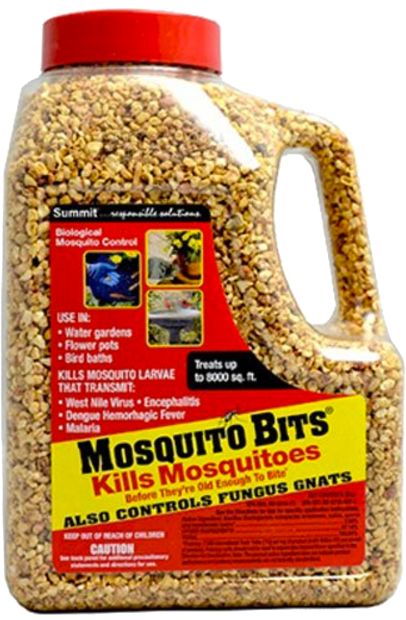 This mosquito fogger has wide variety of outdoors applications. 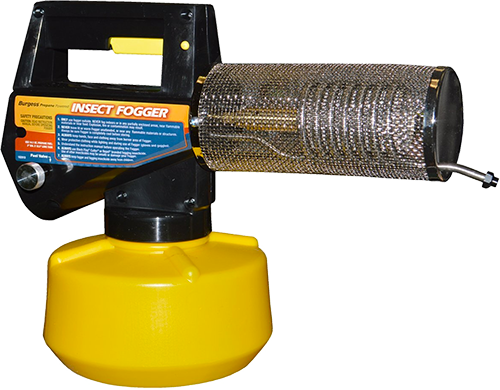 With the burgess 1443 insect fogger you can fog your backyard, garden or children’s playground, as well as take it on camping trips and park barbecues, thanks to the fact that it is a propane powered fogger. Now you will be able to enjoy time outdoors without being bothered by mosquitoes. The Burgess 1443 is 6.9 inches tall, 15.5 inches wide and 11.2 inches in height (17.52 cm x 39.37 cm x 28.44 cm) and the device itself weighs only about 2.8 pounds (1.27 kg). Portability – Burgess 1443 fogger works with a propane cylinder and doesn’t have any electric cables that could limit its usage, you can take and use the fogger in practically any outdoor area. Long lasting effects of thermal fogging – Thermal fogging is great for mosquito control and effects of a single fogging session will last more than 6 hours. However, repeat the fogging to achieve not only hours but also days of mosquito free time. Quick treatment – The fogger vaporizes and produces a great amount of fog which allows to easily fog more than thousand square feet large area in just few minutes. Compact and easy to use – The tool is very compact when compared to commercial thermal or ULV foggers, light and easy to hold in hand. Perfect for backyards, gardens, parks and other outdoor areas. 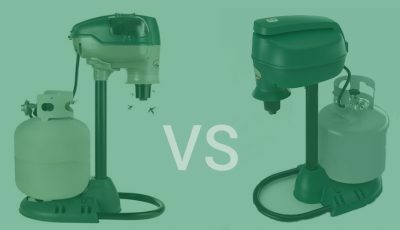 Affordable price – Burgess 1443 is easily one of the best priced mosquito foggers based on the performance of the product. 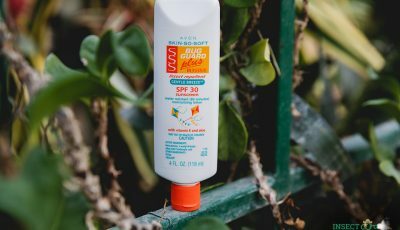 Just think, you can have a mosquito-free outdoor time for less than 80 dollars. Doesn’t have an automatic ignition – This is a very minor drawback of otherwise a top-notch device, you can still easily ignite the fogger using a simple lighter. Very large reservoir, considering the size of the fogger – The reservoir for holding the fogging solution is simply too large if you use the tool for fogging relatively small areas, because any leftover solution needs to be poured out after the usage, and filling small amounts of solution in the container also won’t help, as it will affect the performance of the fogger. Like with any type of fogger, the first thing to do is to read the usage manual of the product, because it operates at high temperatures and uses chemicals that may be dangerous to human health if not used properly. Wear a respirator while fogging and make sure the wind is blowing from the back. For the best results, fog in windless or close to windless conditions. For the best results fog in the mosquito active hours – in the evening around the dusk and in early mornings. Use manufacturer recommended fogging solutions, such as the Black Flag insecticide. The fogger needs a warm up period of 1-2 minutes to properly heat up and be able to vaporize the fogging solution. When you start to see a small amount of constant fog coming from the nozzle, the fogger is ready to use. While fogging, make sure to press the trigger with 4-5 second intervals between, so the solution gets enough time to vaporize. After fogging, pour any leftover solution out of the container before storing the tool, because chemicals used in fogging solutions could damage the fogger if left inside the container for longer time. Only use the fogger outdoors. For those who are looking for an easy and inexpensive way how to get rid of mosquitoes, this thermal fogger is the ideal solution. The Burgess 1443 40-ounce outdoor propane insect fogger will emit powerful insecticide laced fog killing all mosquitoes upon contact and repelling them for multiple hours. Yet the fogger also is affordable and each refill will let you fog your backyard for two and a half hours, letting you thoroughly cover every inch of your yard with fog that kills and repels mosquitoes, letting you enjoy your time outdoors. Do you know if this fogger would work with a environmentally/toxicity safer liquid other than “Black Flag 190255” that its recommended? Say, would it work with Naprovit Pro Plus or something related? You could technically use it with other solutions, however, I would definitely recommend sticking with the manufacturer recommended one, especially if you want to use a water based insecticide. If you want to spray a natural product such as Naprovit Pro Plus, I recommend getting an ULV fogging device which will work with practically any water based solution. What is the operating temperature of this unit? I’m interested in using it to vaporize oxalic acid which is first dissolved in grain alcohol for treating varoa mites in bee hives. Unfortunately, I don’t know the exact operating temperature of the Burgess 1443 mosquito fogger.